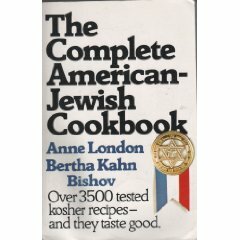 The classic The Complete American-Jewish Cook Book by Anne London and Bertha Kahn Bishov. If there's any Jewish holiday that wins the prize for providing us a trip down memory lane, Passover is the clear winner. While many take inspiration, and sometimes even entire menus, from the latest issue of Gourmet or Jewish Living magazine, everyone has at least one Passover favorite that was passed down the generations to be enjoyed year after year. And yet, as I perused some of the well-worn Jewish cookbooks I inherited from my mother's collection, just about every one had some items that had once been a staple of the Passover kitchen generations ago that are almost never seen today. Most of these books were published in the 1950s and '60s, and reflected the sensibility of their day--along with picture-perfect gourmet presentations likely inspired by Julia Child, the celebrity chef of that era. The Passover sections of Anne London's and Bertha Kahn Bishov's The Complete American-Jewish Cook Book and Rosabelle Edlin's and Shushannah Spector's Adventures in Jewish Cooking: The Momele's Ta'am Cookbook --now both out of print--featured all the usual traditional staples--matzoh kugels, macaroons and every conceivable kind of knaidlach (matzoh ball). What stands out are the similar recipes that appear for a variety of home made wines and spirits, including Med (or mead), that honey liquor we usually associate with medieval Europe! According to Rabbi Zushe Yosef Blech, in his article The Making of Kosher Wine, Beer, and Spirits, the oldest alcoholic beverages – wine and beer – are mentioned in the Torah. Distilled spirits, on the other hand, are of a more recent vintage. All are based on the same chemical reaction – the fermentation of sugar into alcohol. This process involves the growth of specific strains of yeast, which convert different types of sugar into ethyl alcohol. The difference between the different drinks stems from the source of the sugar, the method by which the fermented brew is processed, and the flavors and additives they may contain. Although many strict rules and procedures inform the making of halachically manufactured kosher wines, for centuries spirits for Passover use were made in the home. This amber liquid used to be a tradition during Passover. In the past two decades it has gradually disappeared so that the present generation is almost completely unaware of this existence. To revive this tradition, the following recipe is included, in the hope that it will again find its place among the favorites of the Hebrew People during Passover. At the turn of the century, the bubeh or grandmother was still preparing for the holidays as her mother and her mother's mother used to do. One of the most important steps when one moved into one's own home was to immediately plant a grape arbor, so that the wine for the Kiddush cup could be made from these grapes. This, too, is a lost art since wines adequate for use in the traditional ceremonies during the Passover and other festival holidays may be purchased. You'll also find in many Jewish cookbooks recipes for made-from-scratch condiments--such as preserves, mayonnaise and ketchup--and some interesting candies, including ingberlach, a Passover honey candy, and an unusual carrot candy. Try them out this year for an interesting addition to your Seder or midweek Passover meals. 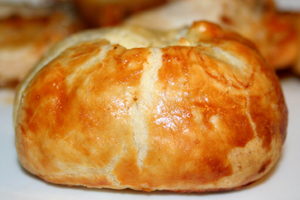 I've also included a recipe for tasty and easy-to-make Pesach knishes that can double as appetizers or snacks. Wishing you a kasher und freiliche Pesach, filled with meaning and warmth. Wash, stem, and mash grapes well. Measure and place in a large clean glass jar. For each cup of mashed grapes, add 1 cup of sugar. Keep in a warm place for 2 weeks, then strain and bring to boiling point. Pour into sterilized bottles and seal. Keep in a cool place. This recipe is from Adventures in Jewish Cooking. First you must purchase a small wooden keg or barrel with a spigot, and at least one yard of cheesecloth. Hops can be purchased at any "brew your own" beer and wine outfitter. Joan Nathan includes this recipe for raisin wine in her Jewish Cooking in America. 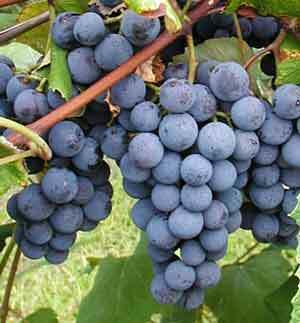 The recipe, taken from The American Hebrew, March 27, 1896, became an American way of making raisin wine. In other countries, dried figs as well as sassafras and licorice were used. Add 6 quarts of boiling water and stir every day for a week, covering with a towel. Then strain and bottle. Let sit for another 10 to 12 days. 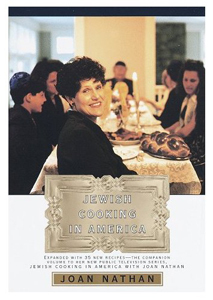 Jewish Cooking in America by Joan Nathan contains some wonderful Passover recipes. This traditional candy recipe appears in Second Helpings Please, published in 1967 by Jewish Women International of Canada, edited by Norene Gilletz. If you prefer, substitute chopped or ground almonds for the walnuts (whole, chopped or ground), as these are just as frequently called for. Bring honey to a boil. Add farfel, ginger and nuts, and boil for 5 minutes, stirring constantly. Spread on a wet board to 1/2-inch thickness, and pat down with your hands which have been moistened with the wine. This unusual recipe is adapted from one in The Complete American-Jewish Cook Book. The original called for 2 ounces of regular ground almonds and 1 ounce of "bitter almonds," which must have once been available. Mash carrots and press off all juice through a strainer. To mashed carrots add remaining ingredients. Cook in sauce pan on a low flame 1/2 hour or more until very thick, stirring often to prevent scorching. Sprinkle a little ginger and sugar on a board. Spread carrot mixture evenly over this to about 1/4-inch thickness. Sprinkle sugar and ginger over the top. Let cool slightly. Cut into 1-inch diamonds or squares before completely hardened. This is a delicious accompaniment to meat or poultry, and makes a yummy spread for matzah along with cream cheese. Boil whole beets until tender. Drain, cool and peel. Slice into thin strips. Bring sugar and water to a boil. Add beets, and cook for at least 1 hour. Add lemon slices and cook over low heat for another hour, or until beets are jellied. From Second Helpings Please. Delish! Boil potatoes in salted water until cooked through (insert a fork to check for doneness). Drain, mash, cool and set aside. Beat egg whites with 1/4 teaspoon salt until stiff and set aside. Brown onions in the 1/4 cup chicken fat or oil and set aside. Beat egg yolks in the bowl of an electric mixer until light colored and add sautéed onions along with their cooking fat or oil, the mashed potatoes, matzoh meal or potato starch and seasonings. Using about 1/3 cup of the mixture, form potato mixture into balls. If desired, make an indentation with your finger and fill with ground cooked chicken or beef or sautéed mixed vegetables. Close and flatten. Spray cookie sheet with cooking spray or lightly grease with vegetable oil. Place knishes on baking sheet and bake at 375 degrees for 35 to 45 minutes, until golden brown. Note: For a fun appetizer, make mini knishes; just minimize baking time to 30 minutes.